If you like this free game, try The Far Kingdoms: Spooky Mosaics. In Riddles of the Owls' Kingdom, you rely deeply on your creativity and brain juice as you solve challenging puzzle to save the Owl's kingdom from destruction. Return the former vibrancy to the kingdom. Save these owls before it is too late. 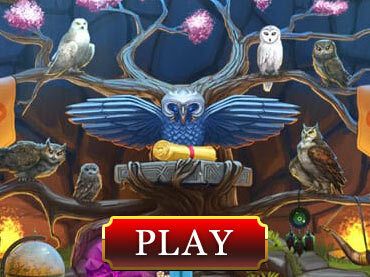 - Riddles of the Owls' Kingdom is a free full version game to download and play. If you have questions about Riddles of the Owls Kingdom game, please contact us using this form.